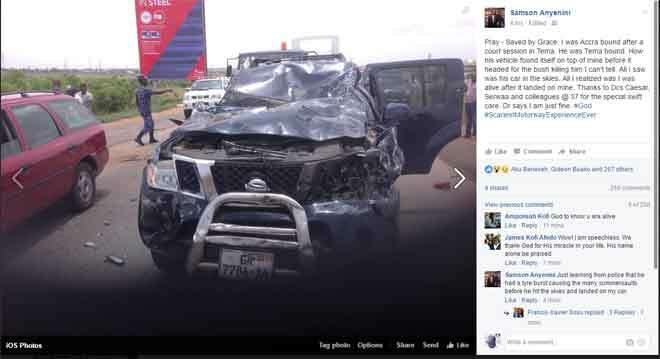 Lawyer and Television/Radio host of Joy FM's current affairs and news analysis programme --- Newsfile--- Lawyer Samson Lardy Ayenini survived a motor accident on the Tema- Accra motorway this Wednesday (April 5th, 2017). 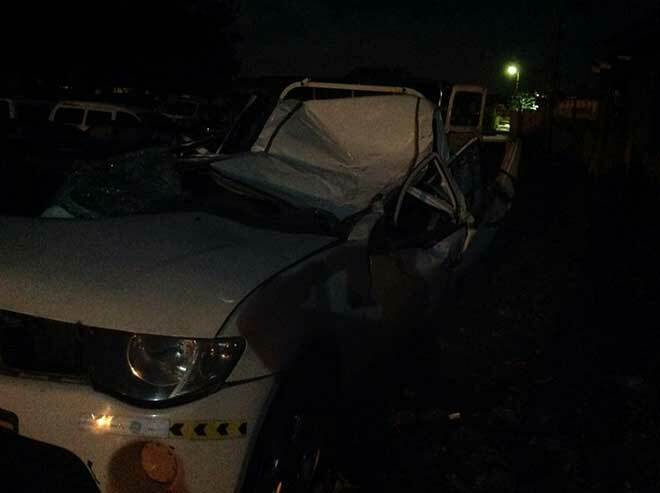 One person according to eyewitnesses was said to have died in the fatal accident. “Pray - Saved by Grace. I was Accra bound after a court session in Tema. 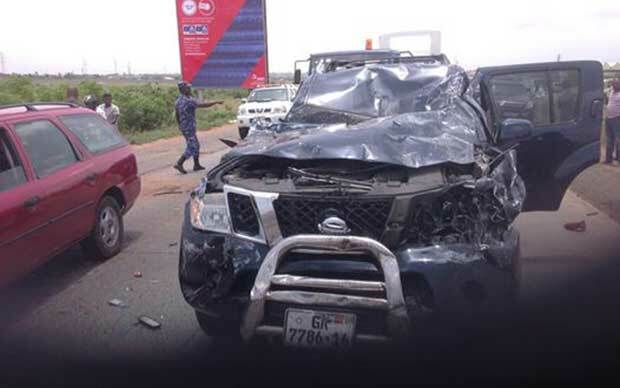 "He (the other driver) was Tema bound. How his vehicle found itself on top of mine before it headed for the bush killing him I can't tell. "All I saw was his car in the skies. All I realized was I was alive after it landed on mine. "Thanks to Dcs Caesar, Serwaa and colleagues @ 37 for the special swift care. Dr says I am just fine. #God #ScariestMotorwayExperienceEver."